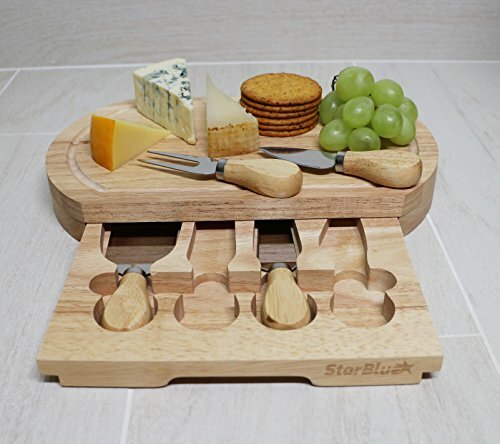 The StarBlue Cheese Board Set is considered as the most durable cutting instrument in the market. Made from sublime quality oak wood, it guarantees protection against any form of splitting, cracking or breaking. Regardless of the blade and the force that it is used with, the oak wood would protect the surface of the board. Unlike bamboo wood boards that split, crack and break very easily, the oak wood simply does not. The supreme brown oak wood color states permanent and stagnant even after years of use but the bamboo wood has the tendency to discolor. The flawless color also provides an appropriate match with any kitchen décor. The oval shape is chosen with great care and after years of experience of dealing in wooden kitchen products. The oval shape looks highly elegant and has a persona about it which rectangular or square shaped cheese board do not possess. 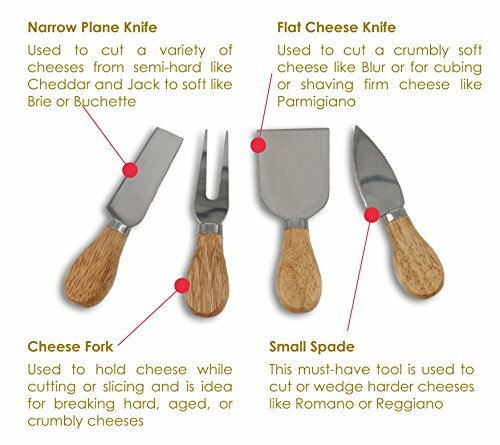 The utensils are made with special blades that cut sharply and are easy to clean as well. Even when it encounters any form of eatable or water, the stainless steel protects against erosion. It remains in sleek condition throughout the usage courtesy of the specifically designed carrying drawer. The well-placed drawer also adds value and style to an already well made StarBlue Oval Cheese Board. The size of the product is designed and made with perfect crafting. The size is such that it does not occupy a lot of space on the table and can easily fit any kitchen closet or drawer. It is also easy to carry around as it has a minimum weight. 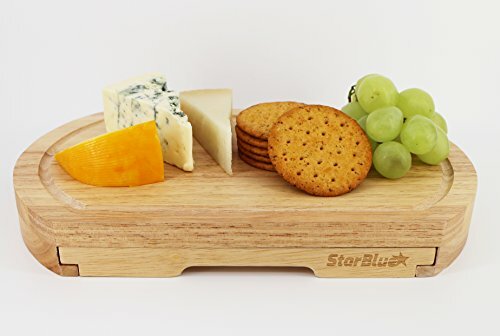 Anyone that appreciates cutting and serving on the same plate would love the StarBlue Oval Cheese Board Set.